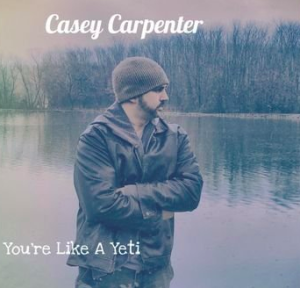 Today we’re looking at a new song from songwriter, Casey Carpenter. He might have something with this new one. It kind of brings back the Bayou country sound a bit. It’s got that Southern thing. Low and slow, but still catchy and something that will make you smile a bit. The song is about how this guy views this girl. She’s not giving him the time of day or has really shown no emotion to him over the years. He feels like he’s been giving it full emotion and all he has or at least putting forth some effort. But all he’s gotten in return is the cold shoulder. Nothing coming back to him and it’s time to move on it sounds like. And the hook of the song is that she’s as cold as a Yeti. Not sure what the Yeti refers too? Yeti coolers have become petty popular over the years. They’re too expensive for me to afford, but they’re supposed to be the best and supposed to be able to keep things pretty cold. So it’s a good comparison for someone in life that has that cold personality. We’ve been hearing the reference in country music a bit more lately. The biggest has to be Buy Me A Boat by Chris Janson earlier this year. But I think Casey does a pretty good job with the hook of his own. This is a good song. It’s not your typical hit country song, but it’s catchy. I like it. I love this song and it is easily one of my favorite songs at this time. I am friends with Casey in real life and I used to take Guitar lessons from him. He is as great a musician as he is a friend. I find it awesome that he can play several instruments.